When visiting Phoenix last week we dropped in at Bruno Shooters Supply (“Bruno’s”). This place is truly a treasure trove for anyone interested in precision shooting. Barrels, custom actions, stocks, scopes, loading presses, dies, and accessories — you name it, Bruno’s has it. 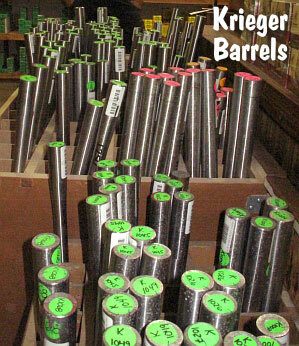 We were amazed to see one bin with literally hundreds of new Krieger barrel blanks. This Editor was tempted to purchase a couple just to avoid delays in the future. 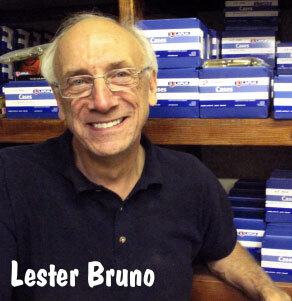 Lester Bruno has been running Bruno Shooters Supply for nearly four decades. A very successful benchrest shooter himsef, Lester knows about accuracy. He prides himself on carrying the best products made, and he shoots what he sells. 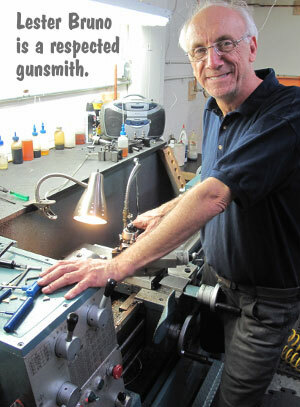 He’s also a very talented gunsmith. In the video below, Lester talks about building accurate rifles. Bruno’s also maintains a vast inventory of premium reloading components: Lapua brass, Hodgdon/IMR, Alliant, and Vihtavuori powders, and all the major primer brands. You want bullets? Berger, Sierra, Lapua, and Nosler bullets are stacked floor to ceiling! 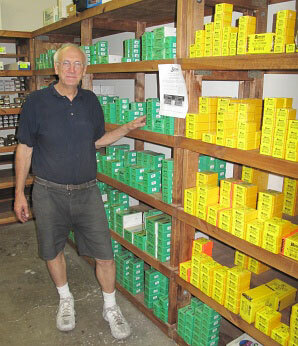 Lester Bruno has been selling rifle components and reloading supplies for 37 years. He now has a very good idea of what precision shooters want most, and his staff works hard to keep the most popular items in stock. Bruno’s has a large inventory of Nightforce scopes, and Lester recently placed an order for 1000+ Krieger barrels — that number was a new high for the Wisconsin barrel-maker. Bruno’s has huge inventories of high-demand items, such as Krieger barrels, BAT actions, and McMillan stocks. 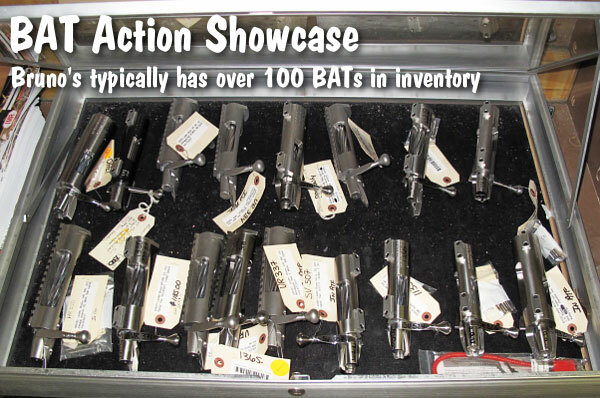 Lester’s company, now the largest distributor of BAT actions in the nation, usually has 100 or so BATs in stock. Right now Bruno’s has over 500 custom barrels in stock in a wide range of calibers, from .17 up to .416. There’s a very good selection of the most popular calibers, twist rates, and contours. Bruno’s also has 100 or so McMillan stocks in inventory currently. In our interview, Lester pointed out that he builds more than point-blank benchrest rigs these days. Lester also crafts long-range benchrest, F-Class, and even hunting rifles. Because Lester has plenty of actions, premium barrels, and stocks already on his shelves, he can normally offer a very good turn-around time on custom builds. Keep in mind however, that Lester is not your guy if you’re looking for a fancy wood project. Lester prefers to use fiberglass stocks, such as McMillan. Lester also noted that he will start carrying H-S Precision stocks very soon. Share the post "Visit to Bruno Shooters Supply and a Chat with Lester Bruno"
Mother’s Day is coming up on Sunday, May 13th this year. If the lady in the house enjoys shooting, or has expressed an interest in self-defense, there are a variety of products she might appreciate (in addition to flowers and a fancy dinner out.) Here’s a selection of Mother’s Day gift products assembled by Midsouth Shooters’ Supply. Click any product to see more info on all selections. 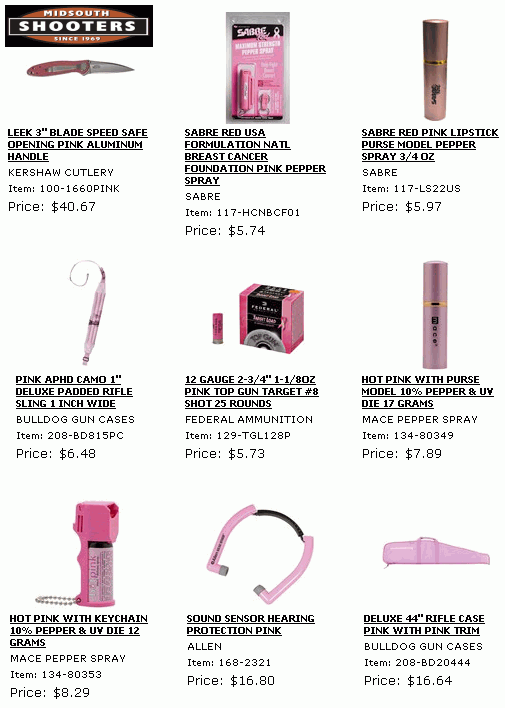 Share the post "Special Items for Lady Shooters on Mothers’ Day"